It's a little disorienting to hear Franz Ferdinand performing a German-language song, but that's nothing compared to the bizarre new video for "Erdbeer Mund." 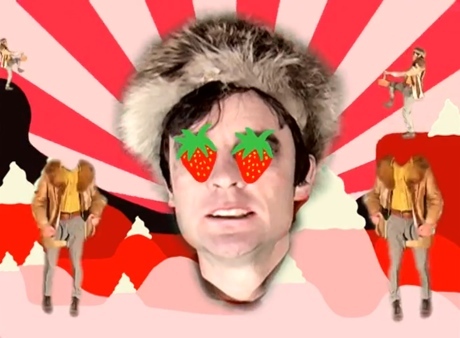 The clip for this dance-rocking German song, which appears as the B-side for the band's "Fresh Strawberries" single, is a kooky mix of fur clothing, sped-up back-country hijinks and gaudy animation. If Monty Python ever made a post-punk music video, it might play out something like this. "Fresh Strawberries" will arrive in the UK on April 7 through Domino.